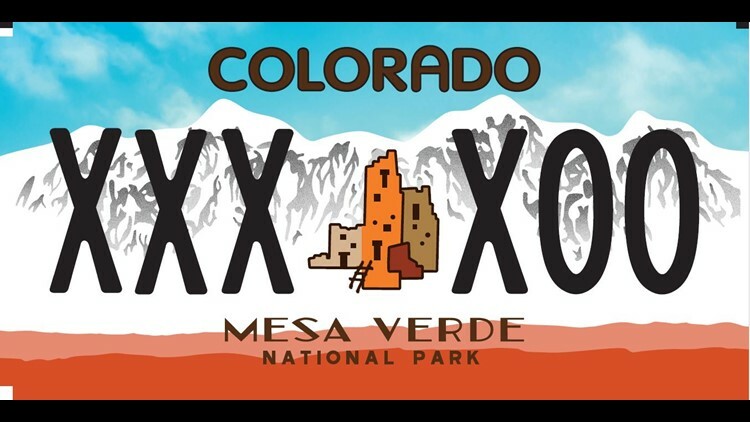 If Mesa Verde were to get its own custom plate, that would leave Colorado's other national parks - Great Sand Dunes and Black Canyon Of The Gunnison - as the last two without their own DMV swag. KUSA - Nonprofit Mesa Verde Foundation wants a new Colorado specialty license plate to support - you guessed it - Mesa Verde National Park. The group is collecting signatures through the month of January (it needs 3,000 and has about 1,700 as of this writing) so that the license plate bill may be introduced during the 2019 Colorado legislative session. Mesa Verde is located in the far southwest corner of the state, closest to Cortez and Mancos, Colorado. It was established in 1906 to preserve and interpret the archeological heritage of the Ancestral Pueblo people who made it their home for over 700 years, from 600 to 1300 CE. "The Mesa Verde Foundation provides financial support and other resources to support the park in its mission of protecting its cultural, natural, aesthetic and wilderness values," the petition read. "Entrance fees from nearly 600,000 visitors and government funding cover only part of park expenses, making MVF’s financial support critical for improvements, maintenance, special projects and educational endeavors." To qualify to sign the petition, you must be a Colorado resident with a car registered in state. You also have to provide your name, email and address. Click or tap here to sign the petition.